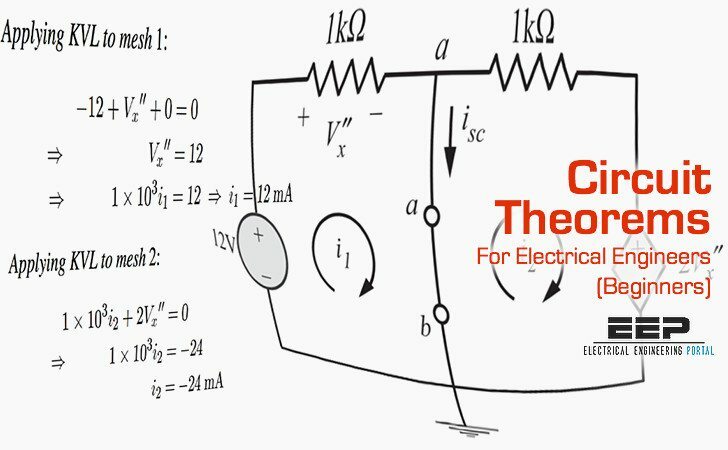 Almost all electric circuits are complex, but it is an engineer’s goal to reduce their complexity to analyze them easily. In this guide, we will introduce new techniques to strengthen our armoury to solve complicated networks. Also, these new techniques in many cases do provide insight into the circuit’s operation that cannot be obtained from mesh or nodal analysis. Most often, we are interested only in the detailed performance of an isolated portion of a complex circuit. If we can model the remainder of the circuit with a simple equivalent network, then our task of analysis gets greatly reduced and simplified. For example, the function of many circuits is to deliver maximum power to load such as an audio speaker in a stereo system. Here, we develop the required relationship betweeen a load resistor and a fixed series resistor which can represent the remaining portion of the circuit. Two of the three theorems that we present in this guide will permit us to do just that. The principle of superposition is applicable only for linear systems. The main objective is to reduce some portion of a circuit to an equivalent source and a single element. This reduced equivalent circuit connected to the remaining part of the circuit will allow us to find the desired current or voltage. 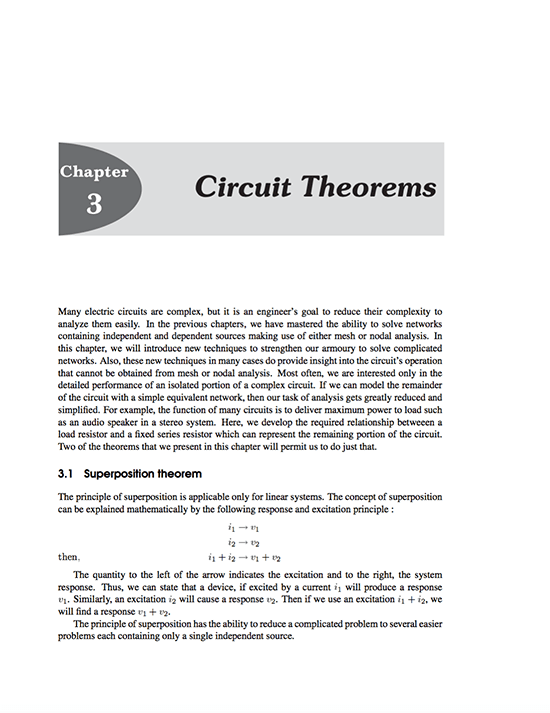 Thevenin’s theorem is based on circuit equivalence. It states that a linear two-terminal network can be replaced by an equivalent circuit consisting of a current source iN in parallel with resistor RN , where iN is the short-circuit current through the terminals and RN is the input or equivalent resistance at the terminals when the independent sources are turned off. If one does not wish to turn off the independent sources, then RN is the ratio of open circuit voltage to short–circuit current at the terminal pair. Hello, great team, I want to thank all over of your team for the most important time you are spending to answer to our needs….. However, I would like to ask some helps to calculate ground current fault (Io) Phase-ground, of a three-phase of bus barre in the MV cubicle switchboard. I am looking for the arc flash study and I want to use easypower software but it is very expensive. Would you pls advise how can I do that? and which best software can I use?